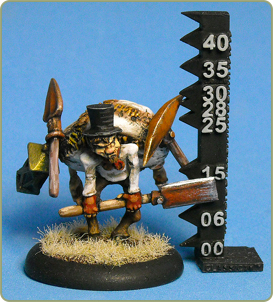 I now have castings of the new Nameless Design Miniature, the despicable freelance gravedigger Graveyard John. This miniature comes with a body bag, pick-axe, and shovel lantern combination and it includes a black resin base. For a limited time each miniature will include one free random gravestone from Miss Minis.